Middle Chamber Books Podcast #11: Regina Leeds, author of "One Year to An Organized Life"
Welcome to episode #8 of the Todd Cohen Sales Leader Podcast. In this podcast series, we are presenting a series of conversations with Todd about key aspects of the selling process. In episode #8, Todd discusses the value of "The Value Proposition." 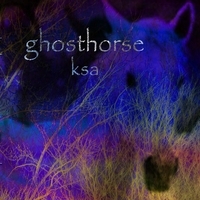 In epsiode #10 of the Middle Chamber Books podcast, we present a conversation with Native American jazz-fusion musicians Ghosthorse, which has released Ksa (pronounced k'sah), a CD of music combining Lakota cedar flutes with jazz and other world music influences. Coming soon to this RSS feed and this iTunes Music Store channel, the National Pest Management podcast series, brought to you by the National Pest Management Association. This podcast is NJAFP 2007 Podcast #1, a town hall meeting panel discussion from the 2007 Convention of the New Jersey Academy of Family Physicians.